Since the car had been sitting unused for so long I thought it would be wise to change the cam belts and tensioner bearings. 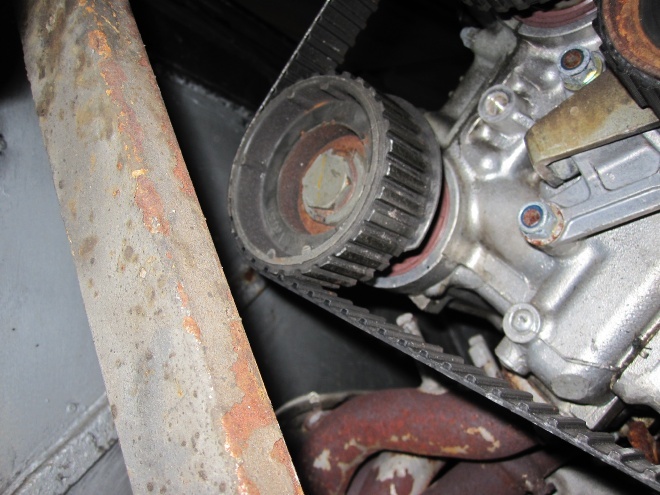 If a belt broke it would cost thousands to repair the engine. It was actually a pretty easy job thanks to Birdman’s tutorial. The water pump was leaking so I replaced that too. 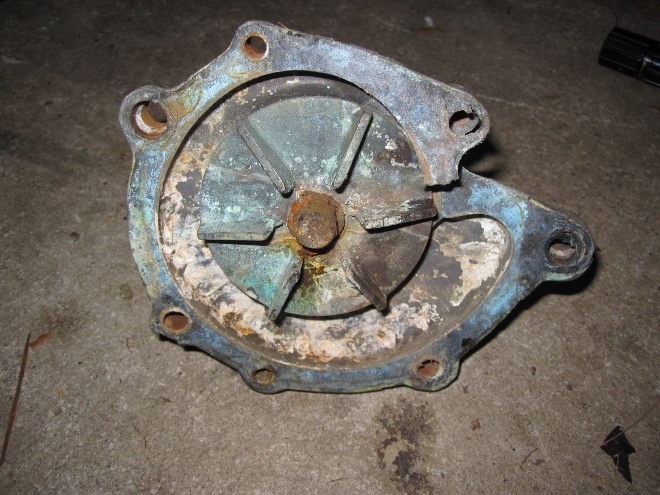 The aluminium casing was actually cracked and the pump looked pretty corroded inside. I think most of the coolant had probably leaked out of the car over the years allowing a bit of corrosion to take place. 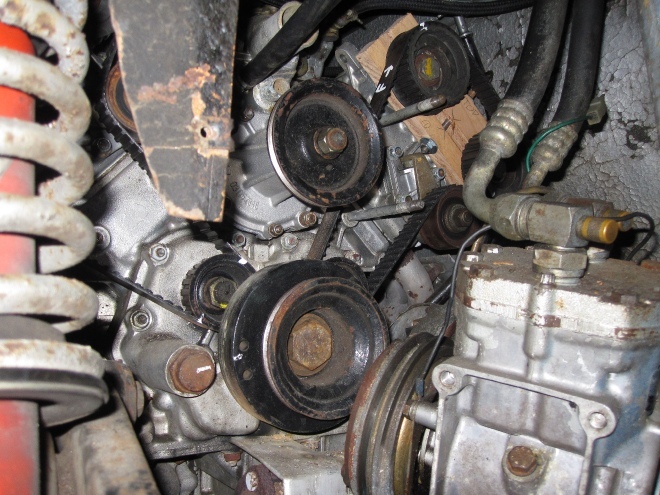 The engine had previously been rebuilt. I’m not sure why but the most likely cause was failure of a cam belt. I noticed one of the cam pulley’s has a damaged belt guide and I suspect that a stone or something has made its way into the cam belt drive mechanism and destroyed a belt causing the valves to smash into the pistons. There is little protection to stop objects getting in behind the cam belt covers so I’m going to get the stone guard kit offered by Superformance. I think the kit is cheap insurance.